1960s and early 1970s was the period when I had developed a taste for products of Walt Disney. It started with printed comic books but later we -Kochiites- had the opportunity to view Hollywood movies regularly, a rarity in India those pre TV days at 'Sridhar'.Like good condiments to a dish,documentaries and cartoons were always exhibited there prior to commencement of actual movies.Those short screenings which I used to enjoy immensely might have triggered in me my life long penchant for travel and enjoy meeting people from varied cultures. Now I find Maria-fondly named as Mia-our two years old grand daughter too have fallen for Micky and Minnie Mouses!In this month of November Micky completes 87 years while Mia will become 2 years old... She reinstated in me the pleasure of enjoying once again the episodes of Micky and Co...Minnie,Donald,Daisy,Pluto,Goofy.... In this occasion I am trying to fish out the little known but interesting facts related to creation of Micky Mouse and thereafter. Along with that of Santa Claus,Micky mouse is considered to be the most popular image world.While most of the studios in the developed world were providing silent films,Walt Disney adapted souredever created in thnd and introduced Micky to the world with the release of 'Steamboat Willie'.That was on 18 November 1928. It was a welcome change for the developed world not withstanding the fact that few countries thought that Micky mouse may scare children and banned it for sometime! Interestingly Disney himself provided original voices for Micky and Minnie from 1929 to 1946!Walt Disney got an Oscar as early as 1932. Micky and Minnie were married..so also their voice actors! 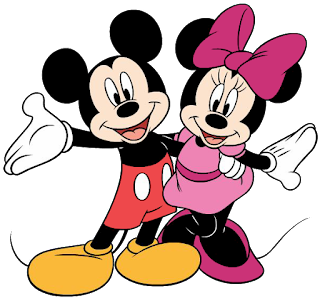 Many may not be aware that Walt Disney had confirmed that Micky and Minnie are a couple who married in private. We all know that voice acting-art of providing voices for animated characters- is very important in cartoons and animated short films which continues to this day.After Walt Disney,many have been voice actors or actresses for Micky and Minnie mouses.For a long period of 32 years- from 1977 to 2009- voice acting was done by Wayne Allwire for Micky.Actress Russi Taylor began performing for Minnie Mouse in 1986 and going strong to this day.Wayne and Russi got married in 1991 and remained together till Wayne died in 2009! Micky 'participated' in second world war! It could be an absorbing news that Micky Mouse had participated and contributed in the second world war,obviously for Allied forces! During the war, people in the affected areas and expected to be affected areas in US and some countries of Europe were encouraged to use gas masks against chemical attack. 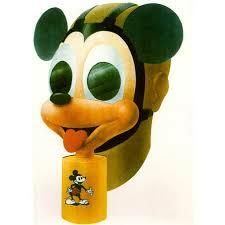 In spite of lot of training, many young children resisted use of such masks, may be seeing the shape of it or the discomfort of wearing it.Authorities came out with a better and effective solution.They introduced gas masks shaped as Micky Mouse designed by none other than Walt Disney. We all know about the D Day. On 6th June 1944 Allied forces invaded northern France in Normandy by means of a beach landing. The well kept secret move by them caught the enemy by surprise which eventually changed the course of the war and history of the world. But what most of us may not be aware is that the secret password used between intelligence US officers for this most secretive operation was " Micky Mouse"! Walt Disney gave only four fingers to Micky.First reason is that he thought five fingers will be too much for a mouse. Second reason is a clever business move.During initial and many subsequent years making a cartoon film was by drawing thousands of drawings.A short film of 6 minutes duration required about 45000 drawings!Walt Disney studios might have saved a lot of money - in millions- if one add up the time saved by not drawing that fifth finger! 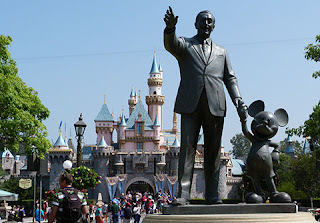 'A park where parents and children could go and have a good time together' was the idea of Walt Disney when he decided to have amusement park after his success in motion pictures and TV programs. 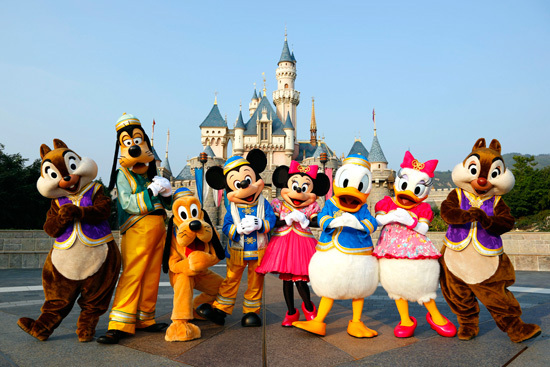 Disneyland was first opened in US at California in 1955 where Walt Disney personally supervised the construction. Walt Disney died in 1966. He was the holder of maximum number of individual Oscar wards-22!I do not have any doubt that some of the characters he created will remain popular for decades to come!